Summer weather is already upon us, and the summer literary season, too. I know many of us have travel plans, but there’s still a lot going on close to home: workshops, readings, conferences, and retreats. The calendar is brimming with literary to-do’s; here are some I’m highlighting this month. Happy Birthday to the Sitting Room! First, let’s celebrate one of the premier literary communities in Sonoma County, the Sitting Room, which is celebrating its birthday on Sunday, June 9, 2-5 PM. Karen Petersen and JJ. 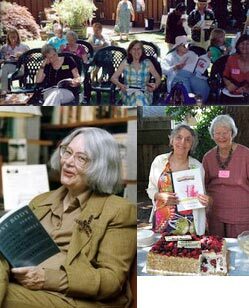 Wilson are the visionary women who started the Sitting Room as a nonprofit, privately funded community library back in 1981. Quietly, diligently, they’ve fostered a fantastic reading library and archives; promoted the work of local, national, and international authors; especially women, provided a home for workshops, reading groups, and events; and celebrated the community of writers with annual thematic publications. So come on out! Refreshments will be provided. For details, check the Calendar Page https://socolitupdate.com/current-calendar-of-literary-events/. 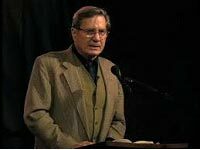 Napa Valley Writer’s Conference (July 28-August 2). Local writers will be offering one-day or weekly workshops this summer. Among these are Dan Coshnear, Marlene Cullen, Susan Bono, Tom Mariani, Nancy Long, Clara Rosemarda, and may more. Check out the Workshop Page for all the offerings: https://socolitupdate.com/current-and-upcoming-writing-workshops/. The annual Sonoma County Book Festival will be moving to a new location, Santa Rosa Junior College, and collaborating on programming with Copperfield’s Books. The festival will have a different format, but promises to provide a stellar list of authors and panelists. Please support the Book Festival in this very important interim year. The Festival has launched a Love Your Fest campaign on Kickstarter to raise money for an executive director to make this year’s Festival in September at the courtyard at Santa Rosa Junior College happen. Here’s the link you can use to make your donation. Any amount will be appreciated. I also want to send a special thanks to my co-editor, Jo-Anne Rosen, who does such a terrific job keeping the website up to date, and makes sure the monthly update gets out to you all in a timely way, even when I’m behind schedule. Jo-Anne’s WordRunner Press is an important part of our local publishing world, and we’re grateful for her work there, too. I will be taking a group of writers on a literary travel-tour of Wales, July 25-August 9. We’ll be focusing on Dylan Thomas and Gerard Manley Hopkins, but with plenty of time to take in the natural and historical beauty of the Welsh world. We’ll also be there for the annual music, poetry, and arts festival, known as the Eisteddfod. If you’re interested in being a part of future travel-writing adventures, check the website at http://wales2013.wordpress.com/. Note: This means I’ll be away when it’s time to put together the August Literary Update, but Jo-Anne may be able to step in, as she so often does. P.S. To download a pdf version of most of the pages in this website, click here.